Set of circle abstract backgrounds. 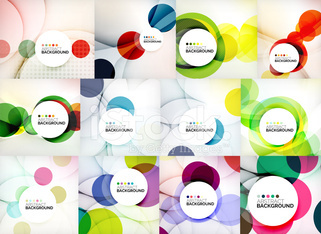 Set of abstract background, with circle place for text. . Vector. Set of colorful emoticons, square emoji flat.